[SatNews] The Satellite Broadcasting and Communications Association (SBCA), the national trade association representing the consumer satellite industry, has launched a partnership with the Information Technology Disaster Resource Center (ITDRC) and the SBCA Foundation. The SBCA Foundation, created by SBCA, is supported by a network of manufacturers, distributors, instillation providers and retailers. The goal of this partnership with ITDRC is to assist communities affected by large scale natural disasters such as flooding, wildfires, hurricanes, and tornadoes. SBCA will recruit volunteer technicians and other professionals from within the ranks of its membership to work with ITDRC who will deploy them in communities hit by natural disasters. 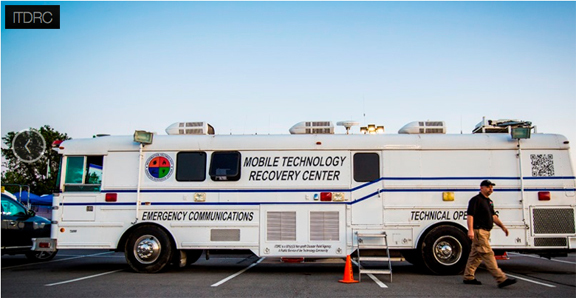 ITDRC is a non-profit organization which operates nationwide to assist communities recovering from disaster by providing emergency communications and technology resources. Technology professionals from many disciplines volunteer to provide assistance and education, both in helping communities recover from disasters and in making them more resilient against future events. SBCA Member technicians will now play a vital part in helping disaster-affected areas by installing Internet connectivity in shelters/disaster relief centers to help reconnect the community. “We encourage our member companies to participate in this program as a way to use their skills and knowledge to assist their local community in a time of need," said Joseph Widoff, Executive Director of SBCA and President of the SBCA Foundation. "Our industry has a national footprint with thousands of trained professionals who can assist affected communities with satellite video and broadband services”. This program is available exclusively to SBCA members.